Nathan P. Gilmour , 21 January 2019. On April 28, 2018, theologian James Cone died, and many like me who were seminarians in the last quarter of the twentieth century knew that a giant had passed from our midst. 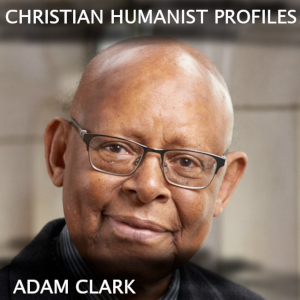 Back in October 2018, The Christian Humanist Podcast dedicated a trio of episodes, numbers 247-249, to his book God of the Oppressed, and now, on Christian Humanist Profiles, we’re glad to welcome Dr. Adam Clark, Associate Professor of Theology at Xavier University, to continue our conversation about Dr. Cone’s work and legacy.